Nusa Tenggara also known as Lesser Sunda. This area is one of Indonesia island and province. 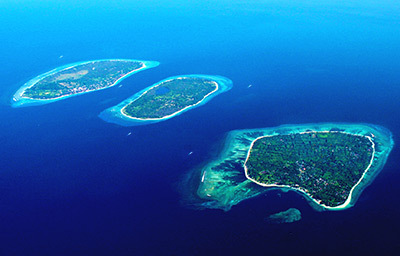 It contains about 550 islands and divided into two province; East Nusa Tenggara and West Nusa Tenggara. This long island has so many volcanoes and mountains, divide into several regions with distinct languages and traditions. Predominantly Catholic and heavily influenced by the Portuguese, there are many examples of strong European cultural heritage, like the Easter procession held in Larantuka and royal regalia of the former king in Maumere. Formerly little more than afterthought for most Bali-bound travelers, this region is now attracting more and more visitors, with Komodo National Park and Lombok leading the way. West Nusa Tenggara has famous tourism area that is Lombok and Sumbawa. Lombok is tropical island which has a much quieter pace than nearby Bali, and is the gateway to eastern Indonesia. Here, you will visit mount Rinjani, waterfalls, glorious scenery and home to the Waktu Telu traditions. You will also visit the tiny islands of the west coast, popular with divers and a vital cog in the Asian backpaker circuit; Gili Air, Gili Meno and Gili Trawangan. While Sumbawa is the large island to the east of Bali and Lombok. Sumbawa is known to some tourists for its great waves and sandy white beaches. Due to the somewhat trying process of getting there and the scarcity of cheap tourist facilities, the island is not visited much by non-surfing tourists which is unfortunate as parts of the island are quite beautiful. East Nusa Tenggara also has Flores, Labuan Bajo, Solor archipelago, West Timor, Sawu islands, Sumba and Komodo island. 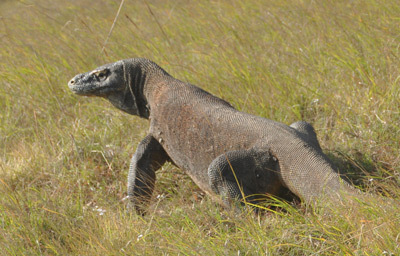 Here, there is also Komodo National Park, the main tourist destination of Nusa Tenggara island. Komodo National Park includes three major islands: Komodo, Rinca and Padar, as well as numerous smaller islands creating a total surface area. As well as being home to the Komodo dragon, the Park provides refuge for many other notable terrestrial species such as the orange-footed scrub fowl, an endemic rat, and the Timor deer. Moreover, the Park includes one of the richest marine environments including coral reefs, mangroves, seagrass beds, seamounts, and semi-enclosed bays. While Flores is in fact the island for the many fantastic wonders, intertwining natural, cultural, and religious metamorphic genesis. Flores, especially Labuan Bajo is the main gateway to Komodo National Park.Visit Flores is an opportunity that comes once in your life. It presents a wonderful nature. Its home of volcanoes, lakes (much known is three color lakes Kelimutu), many historical sites. Flores is also known for its white sand beaches.